Give twice the hope to homeless and abused animals. The Lawson’s, a local family, have offered to match your year-end gift to the Holiday Fund Drive, dollar-for-dollar–up to $10,000. This generous match will be made in loving memory of their adopted cat Teakah who passed away earlier this year after a lengthy battle with cancer. Teakah brought so much joy to their family over the years, and the Lawson’s truly believe the best way to honor the life of a beloved animal is to help another. The Lawson family hopes that by offering to match your donation, you will be inspired to give as much as you can to help twice as many animals before the year ends. Your year end gift can double and be put to immediate use to help the hundreds of animals in our care right now. 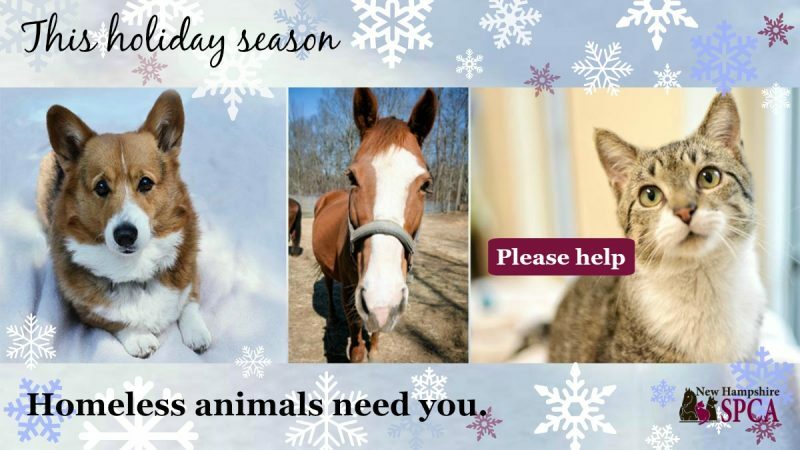 • $50 can double to $100 to help provide warm, safe shelter to cats, dogs, rabbits, horses and other desperate animals. A gift of any amount will help protect innocent animals and give them hope for a better life. Please . . . give twice the hope to homeless and abused animals. When you contribute to our 2018 Holiday Drive to Save Lives by December 31, you’ll help save twice as many animals from cruelty and suffering. You’ll also bring great joy to the caring humans who lovingly adopt these furry friends into their families. We are 100% financially transparent. With a 4-star Charity Navigator rating [the highest possible] you can feel confident that your donation will be utilized responsibly to help save the lives of innocent animals. 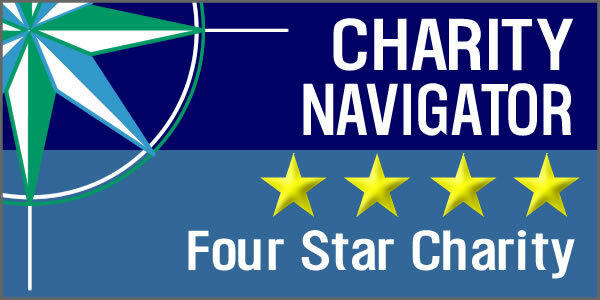 The New Hampshire SPCA is currently the only animal welfare organization in New Hampshire with a four star rating. Hundreds of homeless animals will spend the holidays in our shelter. Your holiday gift will provide food, a warm bed, and the love and kindness they desperately need. Please help.